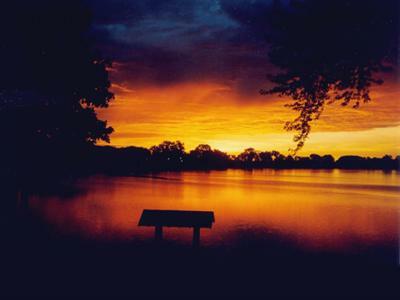 Black Hawk State Park - Beautiful 957-acre Black Hawk Lake is the pride of the state. This gorgeous stretch of water is the southern-most glacial lake in the United States, and its clear waters are perfect for fishing, boating, swimming, and all kinds of water sports. 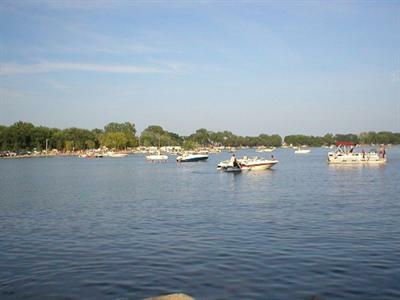 Every year, the lake hosts about 320,000 visitors who come to watch for bald eagles and swans or set their fishing poles for walleye, crappies, bullheads, catfish, bass, and bluegill. With four boat ramps available, the lake is perfect for power boats, deck boats, pontoons, fishing boats, wave runners, sail boats, catamarans, kayaks, canoes, and paddle boats. Sauk Rail Trail - Explore thirty-three miles of open space when you head to the Sauk Rail Trail, a joint effort of the Sac and Carroll County Conservation Boards. This remarkable paved trail runs between Black Hawk Lake and Swan Lake in Carroll, and is perfect for biking, in-line skating, walking, or jogging. It's also a great place to go bird watching and to look for wildlife, or to view Iowa's stunning wild and prairie flowers in full bloom. The trail winds through meadows, prairies, and wetlands, passing towns like Lake View, Carnarvon, Breda, Maple River Junction, and Carroll. Andy Williams Birthplace - Step back to the late 1920s and early 1930s when you enter the childhood home and birthplace of this famous pop music legend. Considered by many to be a national treasure, Andy was born in Wall Lake, Iowa, and today many visitors enjoy touring his birthplace. The house has been lovingly restored and its rooms are now filled with historical memorabilia and treasured antiques. You can tour his family's kitchen, dining room, parlor, his grandfather's room, Andy's birth room, and many others. 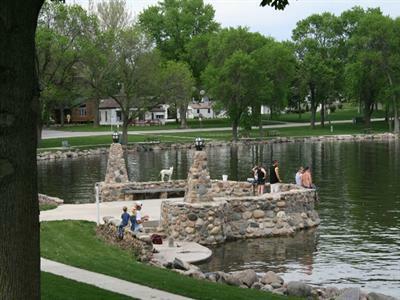 Lake View - The charming lakeside town of Lake View offers fabulous attractions and recreational opportunities for the whole family. From days of boating and fishing on the lake to exploring the Stone Piers, enjoying picnics at Ice House Point, and playing games of mini golf at Boulder Beach, you'll find plenty to see and do. You can hike along the Stub Severson trail, go golfing on one of the three courses, see the Chief Black Hawk statue, or play basketball at Speaker Park. Lake View also offers a historical museum with a pioneer log cabin, and a number of terrific shops and restaurants.